Last week I tried to go photograph the sculpture garden of Dr. Evermore midway between Sauk City and Baraboo, Wisconsin. I made the trip well enough but when I arrived I realized I had no data card in my camera. Oh the shame! It's an 85-mile round trip, so it takes some time to do this. Today I set out again upon my trusty steed, Ferrouche, and captured some small portion of the Doctor's sculptural genius. 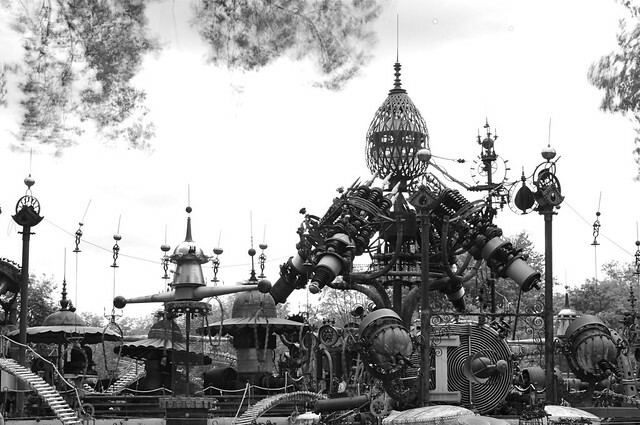 The above image is just a portion of the massive "Forevertron". It is a challenge to get a shot of all of it, and I did try, but it doesn't really do it justice. If you want to see it in its entirety, I recommend you visit it in person. I had hoped to dine at the Epicurean, but alas it was not open. I am joking. 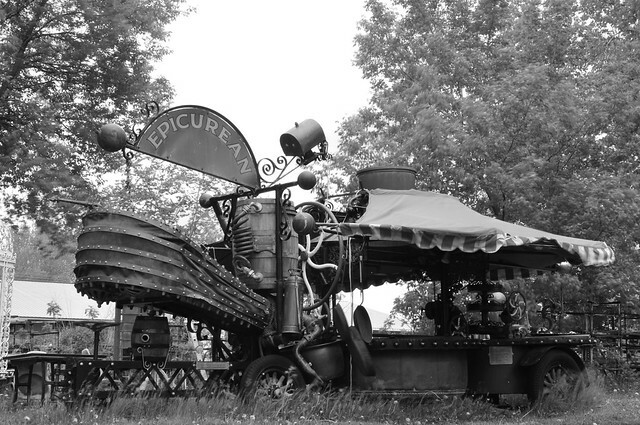 The Epicurean, while a functional grill, has been out of service for ages. It sure makes for a good photograph though. There are hundreds of sculptural beasts scattered around the garden. Many are for sale, and not inexpensive. 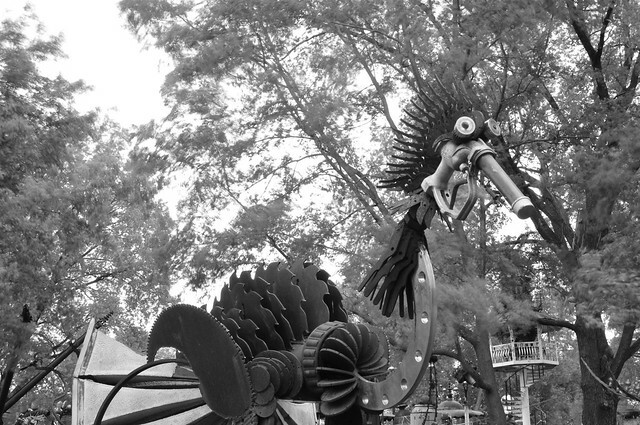 I posted a photo a while back of a LARGE sculpture of Evermore's on Paterson Street in Madison, WI. This guy is maybe 7' tall. I hope you enjoyed these. There are a few more in a SLIDE SHOW if you would like to see more.